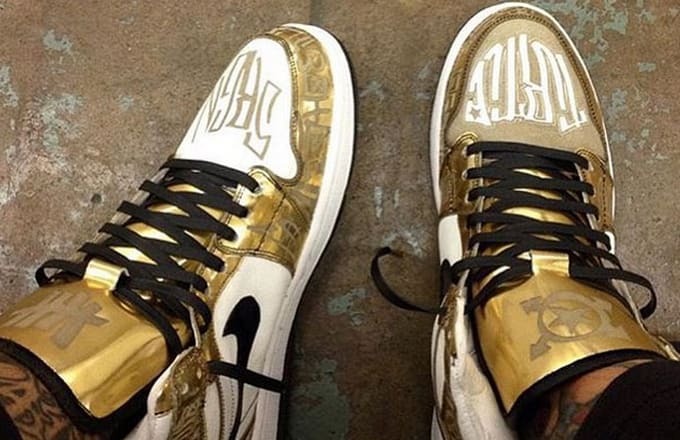 Entourage&apos;s Turtle is now the proud owner of another pair of 1-of-1 "Fukijamas." 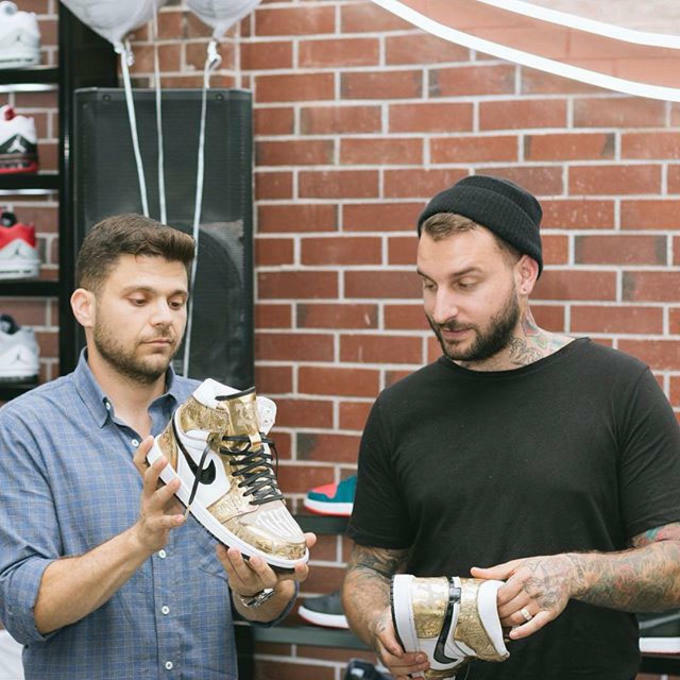 Jerry Ferrara, the actor that plays Turtle, was recently gifted a pair of Fukijama styled Air Jordan 1 customs during the Shoe Palace&apos;s Melrose grand opening. 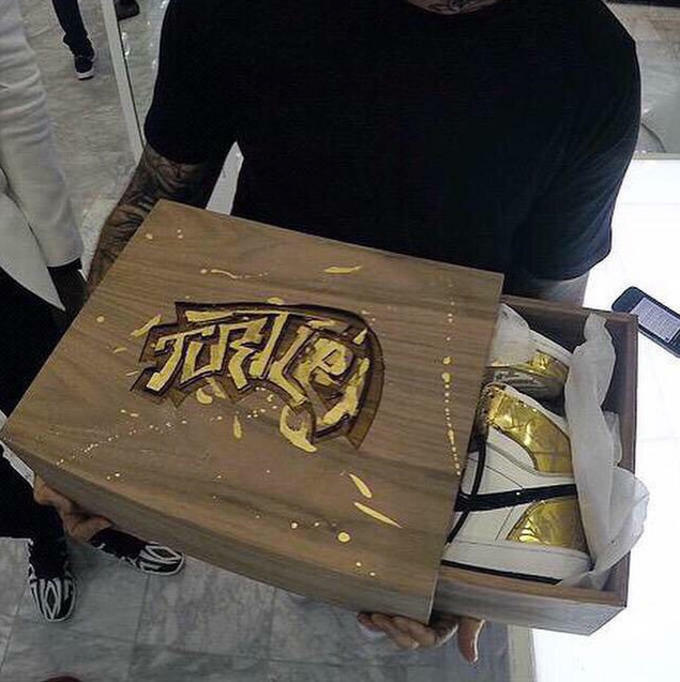 Created by one of the most talked about sneaker customizer in the game today, TheShoeSurgeon, the shoe's styling, detailing, and even packaging, which is as equally impressive as the shoes themselves, is reflective of the features found on the original and exclusive Air Force 1s seen on the popular show. If Ferrara's praise of Surgeon on Instagram is any indication, the actor is truly happy with his latest Fukijamas.